During the two day meeting, the Pope spoke about climate change and its disproportionate impact on the poor, while imploring his audience to reduce the use of fossil fuels and prioritize the shift to clean energy. The event also included other speakers, and was clearly an important gathering about the perils of climate change and its impact on the most vulnerable populations. ... while researching the event and checking out the few pictures available of the event, I was struck by how horribly boring the gathering seemed. Damn I know they're bored. Is that guy really taking a photo with his phone? I wonder if they RSVP'ed just so they could see inside the Vatican. How much coffee did they drink to make it through this thing? I doubt any of them plan to do a single thing differently as a result of this meeting. Then again, I could just be pessimistic. So I had to chuckle while listening to Friday's Up First podcast segment about the meeting when Joshua McElwee said, "Who knows, maybe the oil executives will announce they are closing up shop and moving to solar!" 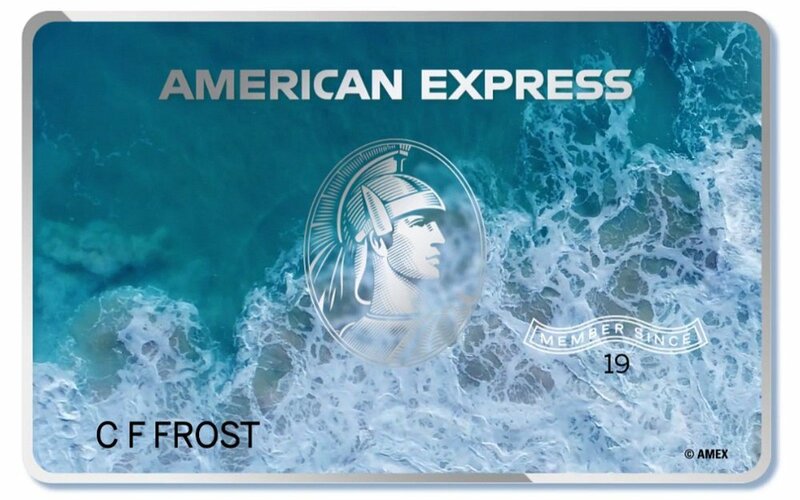 In news that follows up last week's newsletter far too perfectly: American Express will be releasing a new credit card made from ocean plastic. Overall the company has made a commitment to avoiding single-use plastics, intercepting plastic waste and redesigning using existing plastic and other materials. One of my absolute FAVORITE things about creating ABL is learning more about each of you and why you read the newsletter. It's the reason why I recently launched a new podcast series, Above the Bottom Line Conversations, and hop on the phone with subscribers as often as possible. Now, I want to test out a new segment in the newsletter where I feature readers like YOU! Interested in being a part of it? Fill out this form. What issue are you most passionate about and why? I'm most passionate about sustainability reporting. Companies currently report all kinds of different metrics on their environmental, social, and governance (ESG) performance so it's very difficult to tell which companies are the true leaders and which are the laggards. If one company reports a 20% reduction in energy use and another reports the installation of 1,000 solar panels, which company is better addressing climate change? What actions do you take to influence companies? I work at the Sustainability Accounting Standards Board (SASB), a non-profit that develops and disseminates industry-specific standards for companies to report on their sustainability performance to investors. While 20% of professionally-managed dollars in the U.S. are invested with some kind of ESG lens, 80% are not. If you can show traditional investors (who control that 80%) how sustainability issues can impact the bottom line, they start to pay attention. What companies have taken the right steps with sustainability reporting? Some companies have started reporting on SASB standards, such as JetBlue, Bloomberg, and NRG Energy. I admire these companies for their transparency. Most companies would probably prefer to produce a glossy report with pictures of windmills, smiling children, and other corporate social responsibility cliches. Disclosing metrics that investors and consumers can use to compare a company's performance to its peers takes guts. Why do you read Above the Bottom Line? I love that the newsletter has an opinion, offers highly-relevant news, and has fun animations. I'm subscribed to dozens of sustainability newsletters and ABL is the one that I most look forward to reading. If you’re interested in connecting with Sonya, you can reach out via LinkedIn, Facebook or email.